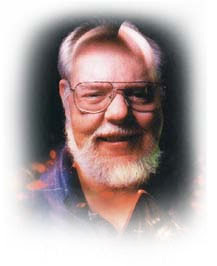 Dave Arneson passed away on Tuesday, April 7, 2009. He was 61. Dave was the co-creator of the Dungeons and Dragons game along with Gary Gygax who passed away in 2008. Dave developed many of the games mechanics for instance he came up with that everyone should only control one character and those characters gain experience/levels through a course of many adventures. His world of Blacmoor was the very first campaign world for dungeons and dragons which was followed up by Gygax's World of Greyhawk which ended up becoming the official world of ad&d for a time. Dave left TSR, the company the two friends formed when no others would invest in their new game, and founded a computer game company 4D Interactive Systems, which is still in business. He did computer consulting. In the late '90s, he became a teacher at Full Sail, a private university that teaches media and computer careers. He suffered a stroke in 2002, but kept teaching until 2008. Throughout these years he continued to work on his original Blackmoor role-playing campaign, publishing it in various paper forms and also creating an online role-playing community. Dave like Gary will be greatly missed.